Welcome to WE ARE NOT ALONE. A Homepage about ALIENS AND THE FUTURE WORLD a homepage for Young and Old.Thankyou for Visiting. 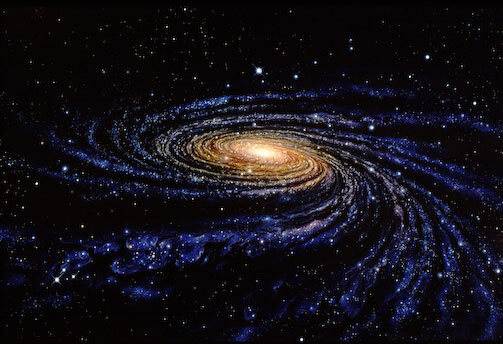 The Milky Way Galaxy, as viewed from Earth's position in a spur of one of the galaxy's spiral arms see Sun's location and neighborhood), appears as a hazy band of white light in the night sky arching across the entire celestial sphere. The light originates from stars and other material that lie within the galactic plane. The plane of the Milky Way is inclined by about 60° to the ecliptic (the plane of the Earth's orbit, with the North Galactic Pole situated at right ascension 12h 49m, declination +27.4° (B1950) near beta Comae Berenices. The South Galactic Pole is near alpha Sculptoris. The center of the galaxy lies in the direction of Sagittarius, and it is here that Milky Way looks brightest. Relative to the celestial equator, it passes as far north as the constellation of Cassiopeia and as far south as the constellation of Crux, indicating the high inclination of Earth's equatorial plane and the plane of the ecliptic relative to the galactic plane. From Sagittarius, the Milky Way appears to pass westward through the constellations of Scorpius, Ara, Norma, Triangulum Australe, Circinus, Centaurus, Musca, Crux, Carina, Vela, Puppis, Canis Major, Monoceros, Orion & Gemini, Taurus, Auriga, Perseus, Andromeda, Cassiopeia, Cepheus & Lacerta, Cygnus, Vulpecula, Sagitta, Aquila, Ophiuchus, Scutum, and back to Sagittarius. The fact that the Milky Way divides the night sky into two roughly equal hemispheres indicates that the Solar System lies close to the galactic plane. The Milky Way has a relatively low surface brightness due to the interstellar medium that fills the galactic disk, and preventing us from seeing the bright galactic center. It is thus difficult to see from any urban or suburban location suffering from light pollution. The search for extraterrestrial life has taken an unexpected twist as European astronomers just detected an incredible planet, bearing a striking resemblance to our Earth, which could mean that we’re not alone in the universe.“We are not alone” could prove to be more possible than ever, said the scientists who discovered a warm and rocky “second Earth”circling a star. The planet is the most Earth-like ever spotted and is thought to have perfect conditions for water, an essential ingredient for life. Researchers detected the planet orbiting one of Earth’s nearest stars, a cool red dwarf called Gliese 581, 20 light years away in the constellation of Libra.Measurements of the planet’s celestial path suggest it is 1½ times the size of our home planet, and orbits close to its sun, with a year of just 13 days. The planet’s orbit brings it 14 times closer to its star than Earth is to the sun. But Gliese 581 burns at only 3,000C, half the temperature of our own sun, making conditions on the planet comfortable for life, with average ground temperatures estimated at 0 to 40C.Researchers claim the planet is likely to have an atmosphere. The discovery follows a three-year search for habitable planets in the distant space, made by the European Southern Observatory at La Silla in Chile. We wouldn’t be surprised if there is life on this planet,” said Stephane Udry, an astronomer on the project at the Geneva Observatory in Switzerland.Two years ago, the same team discovered a giant Neptune-sized planet orbiting Gliese 581. A closer look revealed the latest planetary discovery, along with a third, larger planet that orbits the star every 84 days.The planets have been named after their star, with the most Earth-like of them, called Gliese 581c. And while astronomers are not yet able to look for signs of biology on the planet, the discovery is a milestone in planet detection and the search for extraterrestrial life, one with the potential to profoundly change our outlook on the universe. The Solar Systemconsists of the Sun and those celestial objects bound to it by gravity, all of which formed from the collapse of a giant molecular cloud approximately 4.6 billion years ago. Of the retinue of objects that orbit the Sun, most of the mass is contained within eight relatively solitary planets whose orbits are almost circular and lie within a nearly-flat disc called the ecliptic plane. The four smaller inner planets, Mercury, Venus, Earth and Mars, also called the terrestrial planets, are primarily composed of rock and metal. 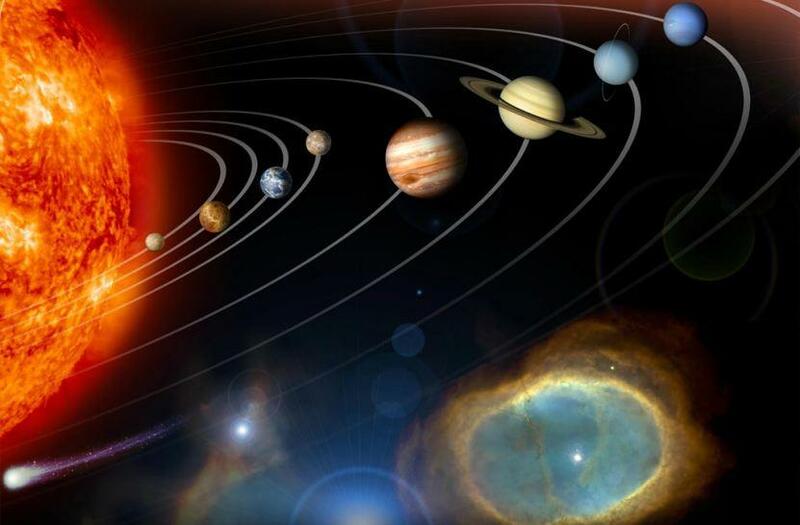 The four outer planets, Jupiter, Saturn, Uranus and Neptune, also called the gas giants, are composed largely of hydrogen and helium and are far more massive than the terrestrials. The team spotted the planet by searching the “habitable zone”, the ideal distance to the central star, not too close to be too hot like boiling Mercury and not too far to be a frozen wasteland (like Neptune). 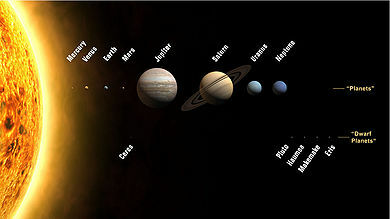 The Solar System is also home to two regions populated by smaller objects. The asteroid belt, which lies between Mars and Jupiter, is similar to the terrestrial planets as it is composed mainly of rock and metal. Beyond Neptune's orbit lie trans-Neptunian objects composed mostly of ices such as water, ammonia and methane. 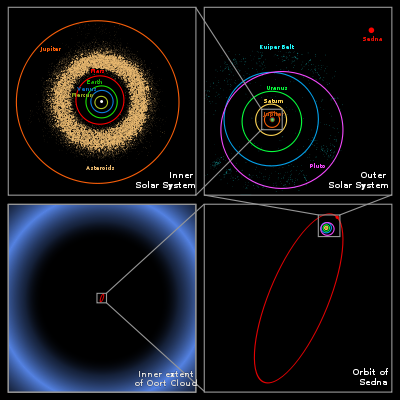 Within these two regions, five individual objects, Ceres, Pluto, Haumea, Makemake and Eris, are recognized to be large enough to have been rounded by their own gravity, and are thus termed dwarf planets. In addition to thousands of small bodies in those two regions, various other small body populations, such as comets, centaurs and interplanetary dust, freely travel between regions. The solar wind, a flow of plasma from the Sun, creates a bubble in the interstellar medium known as the heliosphere, which extends out to the edge of the scattered disc. The hypothetical Oort cloud, which acts as the source for long-period comets, may also exist at a distance roughly a thousand times further than the heliosphere. Space Shuttle Home Page The SETI League, Inc.
Mars Pathfinder, the second Discovery mission, was launched into space December 4,1996, and made a historic arrival to the surface of Mars on July 4, 1997, when it deployed a tiny micro-rover called Sojourner to examine rocks in the martian soil. The Pathfinder mission is managed by the Jet Propulsion Laboratory of the California Institute of Technology in Pasadena, California. Pathfinder's primary goals are to study the martian atmosphere, surface meteorology and aerology like Earth's "geo"-logy, and elemental composition of the rocks and soil. NEAR (Near Earth Asteroid Rendezvous, NASA's first Discovery Mission, operated by the Johns Hopkins University Applied Physics Laboratory in Laurel, Maryland, will be the first spacecraft to orbit an asteroid. It is designed to provide scientists with data to answer fundamental questions about near-earth objects such as asteroids and comets. NEAR will rendezvous with asteroid 433 Eros on February 6,1999. Lunar Prospector was launched first into a low Earth orbit, called a "parking orbit". After circling in this orbit halfway around the Earth, the STAR 37 TLI kick motor rocket fired, propelling Prospector toward the Moon. Within a few days, the spacecraft settled into a circular lunar polar orbiting pattern, circling at 63 miles (100km) above the surface of the Moon. An Athena II solid-fuel rocket propelled Prospector and its TLI kick motor into its low Earth orbit. This was the maiden voyage of this double-boosted member of the Lockheed launch vehicle family. The first two stages consist of Castor 120® solid rocket motors. The third stage is an Orbus 21D® solid rocket. An Orbital Adjust Module (OAM) provides orbital correction capability and oriented the Lunar Prospector payload before separation. Lunar Prospector was launched from Spaceport Florida, in Cape Canaveral, Florida, on January 6,1998. One of the primary reasons mission designers chose this launch window is its proximity to an unusually long period of time free of lunar eclipses. During a complete lunar eclipse, the Earth passes between the Sun and the Moon, shadowing the the entire Moon from the perspective of the Earth. During a lunar eclipse, Prospector would have to fly in total darkness and consume large amounts of solar-generated battery power. Prospector's launch date allows the spacecraft to spend as little time as possible in Earth's shadow, minimizing battery- power drain and spacecraft cooling requirements. The Lunar Prospector launch was the first from the Spaceport Florida complex at Cape Canaveral. The nighttime launch placed the spacecraft into a low Earth orbit. Upon achieving proper injection position, the Orbital Adjust Module (OAM) separated the payload, and the Trans Lunar Injection Stage (a Star 37 kick motor) ignited to provide additional velocity in order to achieve the Trans Lunar Injection trajectory. as the "bullet cluster", is shown in this composite image. A mere 3.4 billion light-years away, the bullet cluster's individual galaxies are seen in the optical image data, but their total mass adds up to far less than the mass of the cluster's two clouds of hot x-ray emitting gas shown in red. Representing even more mass than the optical galaxies and x-ray gas combined, the blue hues show the distribution of dark matter in the cluster. front, the bullet-shaped cloud of gas at the right was distorted during the titanic collision between two galaxy clusters that created the larger bullet cluster itself. But the dark matter present has not interacted with the cluster gas except by gravity. The clear separation of dark matter and gas clouds is considered direct evidence that dark matter exists. 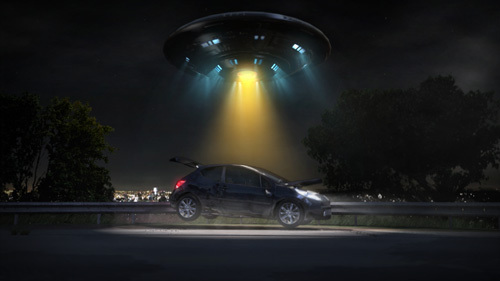 ARE WE REALLY ALONE OR IS IT ONLY WHAT WE BELEAVE WHEN A UFO IS SIGHTED THAT IS THE ?